Holy Cross Anglican School students can now enjoy a recycled hopscotch set that was installed at their school on Tuesday, April 9th. 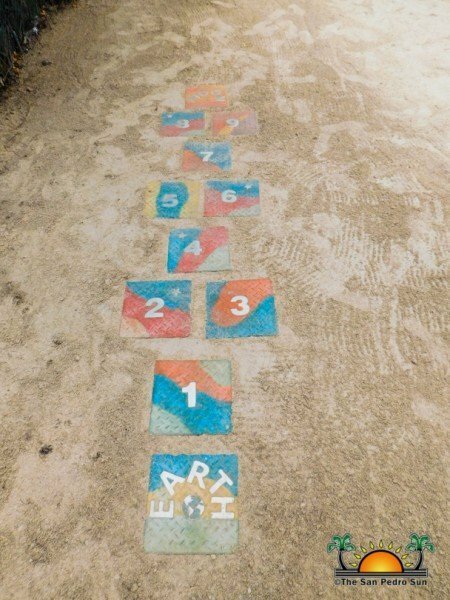 The hopscotch blocks are made from recycled glass collected during various clean-up campaigns hosted by San Pedro Clean and Green. According to Dawn Schick of San Pedro Clean and Green, this will hopefully teach the children that recycling is now available on the island and that they should protect their environment. Schick further told The San Pedro Sun that on the first week of May they plan to launch their educational program at the various schools on the island, explaining recycling and the importance of keeping the environment clean. 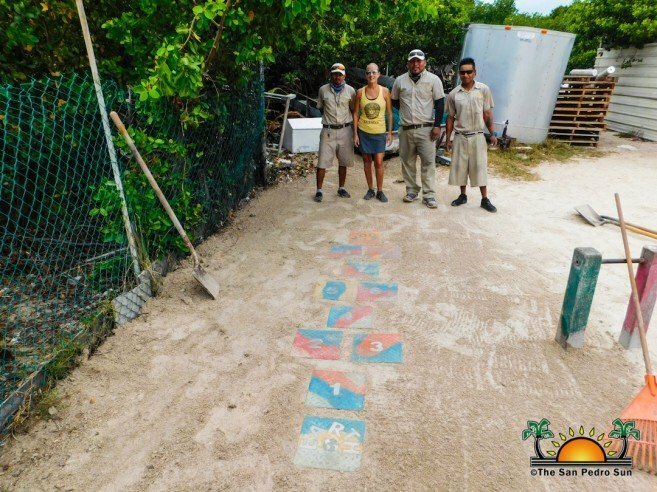 Special thanks go out to Ray Tyree from Recycle San Pedro Belize and Belize Interlocking Pavers and Blocks, who created and donated the recycled hopscotch blocks as well as Grand Caribe Belize employees and Keli Brace from Stella's Sunset for installing it at the school. To keep up with the good work San Pedro Clean and Green is doing on the island, you can follow them on Facebook.